Dressing up your desktop is as easy as 1-2-3. Select an image to use. 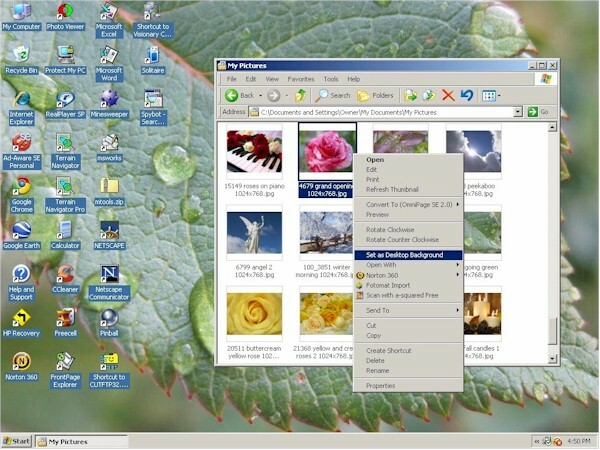 Choose the format that is most appropriate for your screen; and the resolution you would like to use. Click on the appropriate link. 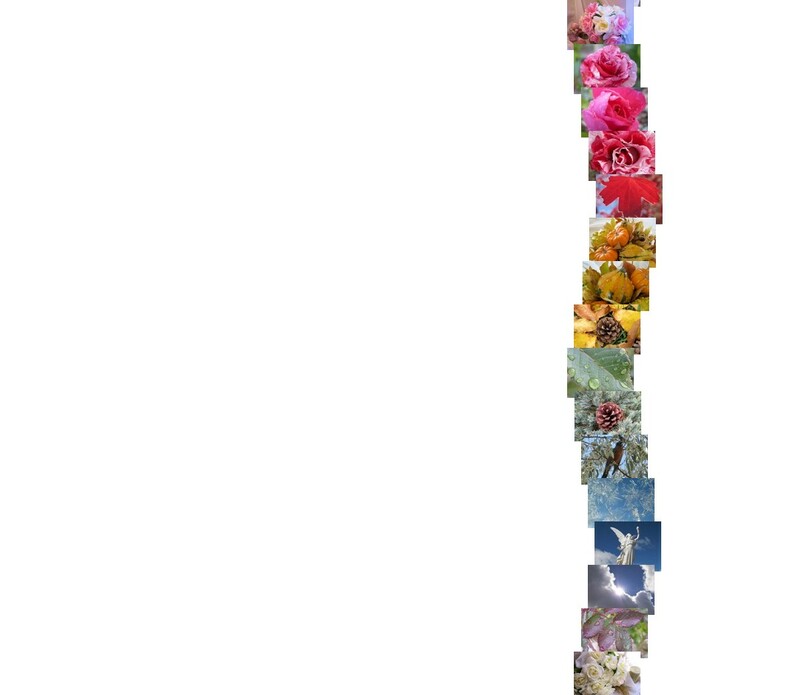 Allow the image to load completely. Then right-click on the image and select "Save Picture As" to save it to your computer's hard drive. When the "Save Picture As" window appears, select the folder into which you want to save the image, then click OK. 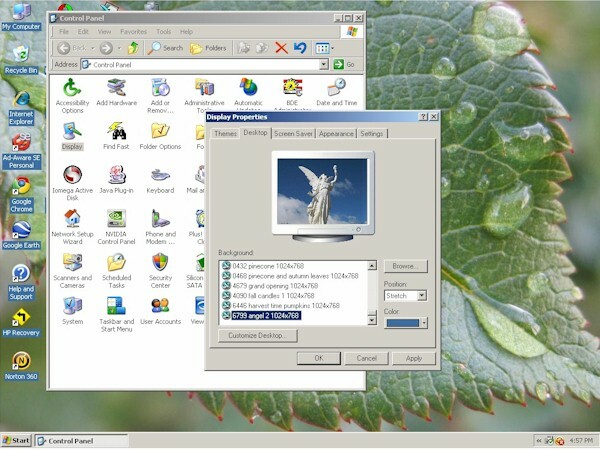 Using My Computer/Windows Explorer, open the folder in which you saved the image you selected. Right-click on the image and select "Set as Background". 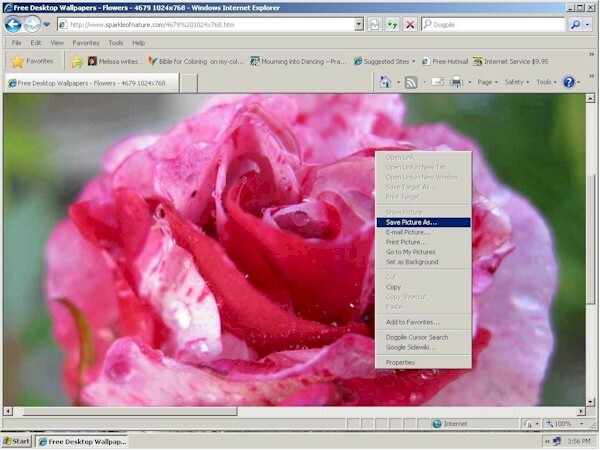 OR: Alternatively, once you have saved the image to your computer, you can use the "Display" section of your computer's Control Panel to set the image as your desktop background. This method requires a few more steps, but allows you greater control over how the image will be displayed.